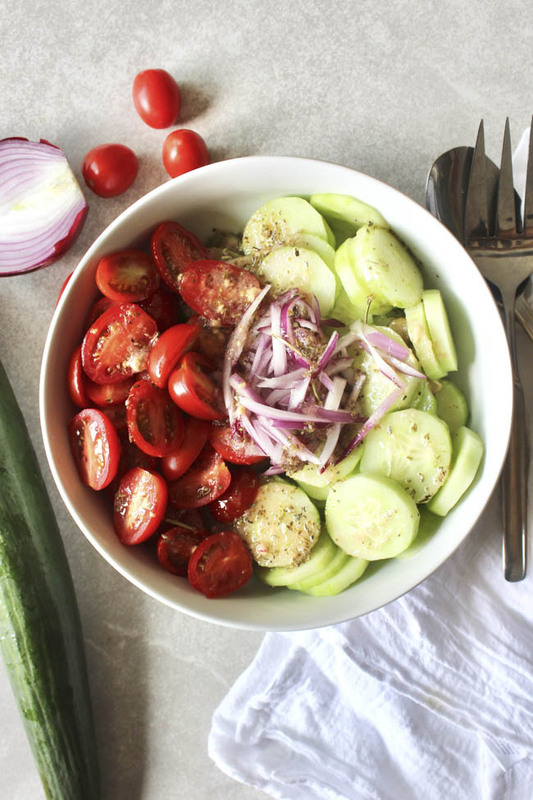 This salad is a tasty way to celebrate garden cucumbers, tomatoes, and onions, with an oh-so-simple vinaigrette. Peel and sliced the cucumber thinly, about ¼ inch thick and add to a medium-sized bowl. 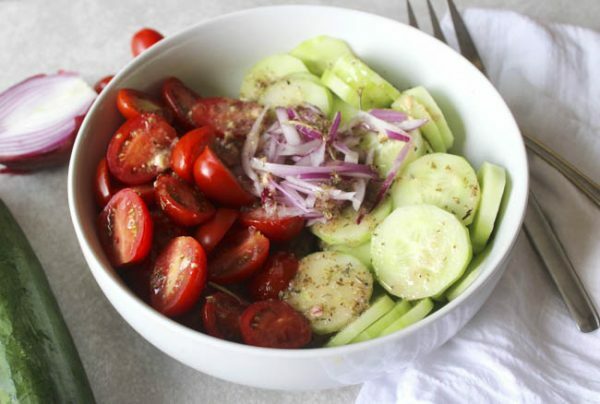 Halve the grape tomatoes and thinly slice the red onion and add to the bowl. To make the dressing: combine the rest of the ingredients in a jar or bowl and shake very well to ensure the mustard is well-mixed. Drizzle over the salad, toss, and enjoy.